A compact bass you can take anywhere. An extension of the popular Mini lineup, the Mini II series feature a slightly longer scale length of 580mm, which allow the instruments to hold standard tuning comfortably. The Mini II Bass EB-E is the perfect travel bass guitar. Take it anywhere - sounds great acoustically, and the built-in electronics allow you to amplify your signal for stage or recording. 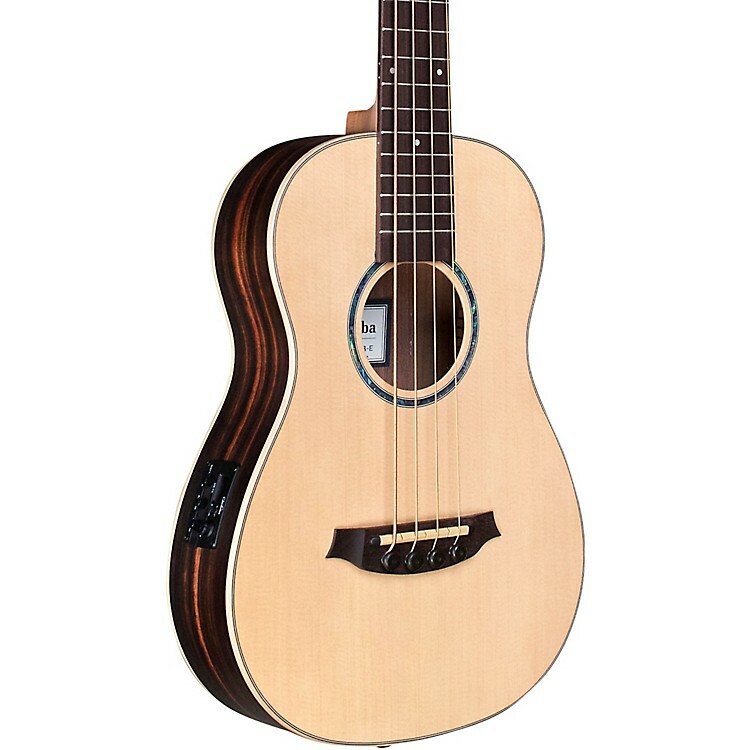 like all of the Mini II series, the Mini II Bass EB-E is a great companion for road trips, playing out by the campfire, or simply lounging with you on the couch at home. Includes gig bag. You can take it with you. Order today.